Most plant managers seek various means for shortening time to market and increasing productivity, yet they are wary of the time-consuming, costly process of having to replace or upgrade complex systems to realize digitization. 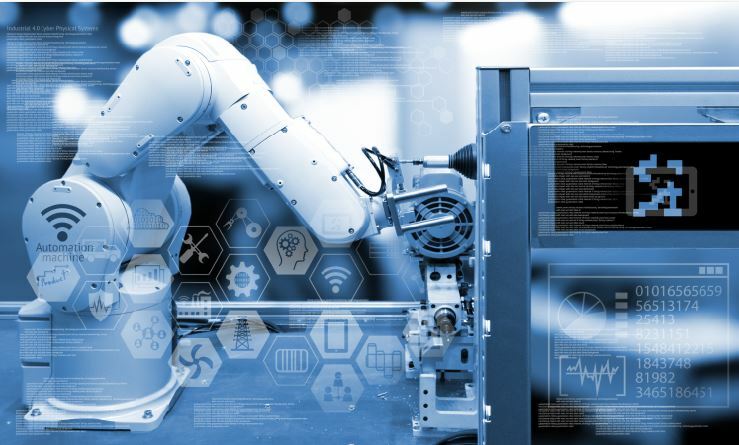 By implementing Advantech’s multi-protocol, cross-system integration solution, managers can migrate seamlessly from traditional to future network infrastructure with minimum downtime and maximum flexibility. As manufacturing companies expand and leverage their scale and manufacturing capacity, one of the major challenges they face is to improve their operational efficiency. However, most plants have numerous complex systems that are critical for managing scheduling, production, inventory, and quality data—especially if the company owns several factories in different cities, which complicates management. What is needed is an easy and effective approach to supervising each factory and sharing information across multiple sites. By using Advantech’s solution to realize cross-system integration, a unified interface, protocol conversion, real-time data collection, and a visual monitoring platform, factory managers can actively ensure the delivery of quality products in a timely, cost-effective manner. A factory is often built with several plant floors and many machines, each of which is connected to several sensors. Ethernet I/O modules responsible for data acquisition are powered by peer-to-peer (P2P) and Graphic Condition Logic (GCL) and can be used as standalone devices for measurement, control, and automation with Advantech's P2P and GCL technology. The modules have analog and digital outputs and can satisfy a plant’s data collection needs. 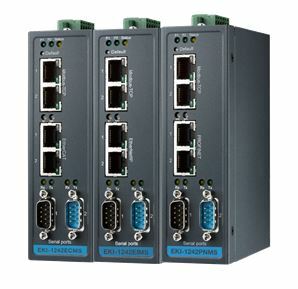 Ethernet I/O modules responsible for data acquisition are powered by peer-to-peer (P2P) and Graphic Condition Logic (GCL) and can be used as standalone devices for measurement, control, and automation with Advantech's P2P and GCL technology. The modules have analog and digital outputs and can satisfy a plant’s data Because each sensor might use different protocols, Advantech Fieldbus gateways can be employed to provide seamless integration by converting Modbus RTU/TCP to EtherNet/IP, EtherCAT, PROFINET, and BACnet. 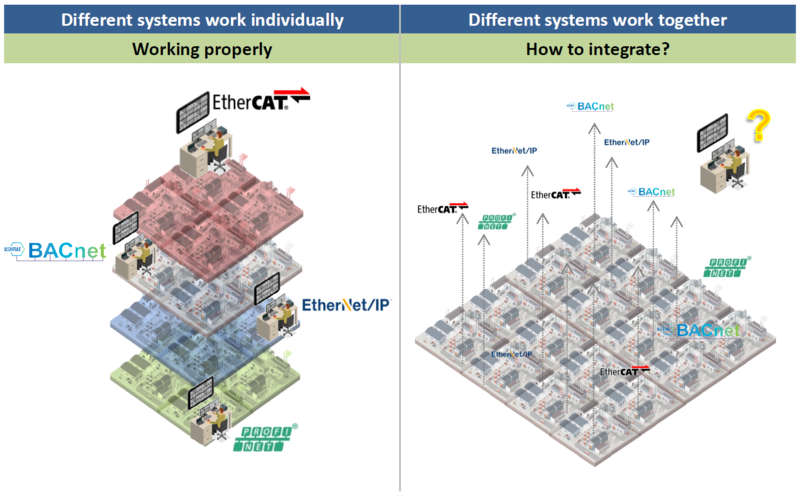 This not only enables connectivity between edge devices that use different protocols, but it is also effective for realizing a high level of device management efficiency. needs. This approach can make it easier for on-site staff to monitor sensors and the condition of machines, and it can help plant managers remotely control the flow of production. Furthermore, it can reduce operating costs because it frees plants from the need to completely reprogram PLCs, which consumes both time and resources. As the fieldbus gateways are sufficiently flexible to handle various protocols, future upgrades in the plant will be relatively straightforward. The forwarding of collected on-site data to industrial Ethernet switches and wireless routers ensures high transmission quality. Using industrial Ethernet switches, which have several 10/100/1000 copper ports and SC/ST/LC fiber ports, facilitates smooth wire deployment, high-performance network communication, and fast redundancy, thus enhancing the reliability and speed of network infrastructure. Cellular routers can also be employed for wireless transmission, allowing users to easily establish connectivity between isolated networks and giving greater flexibility in building secure applications. With these technologies, managers and staff can spend considerably less time on monitoring and maintenance, allowing them to focus on more critical issues such as failure prediction and avoidance. 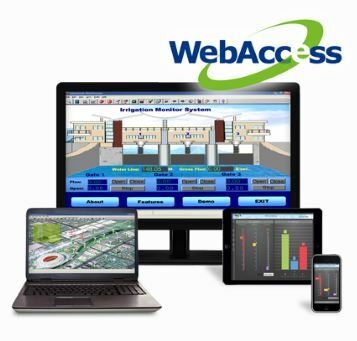 Advantech WebAccess/NMS and WebAccess/SCADA are integrated platforms for cross-system applications. WebAccess/NMS, a web browser-based software package for networking management systems, is a user-friendly platform for remotely monitoring and managing all Ethernet-enabled Advantech products and third-party devices. 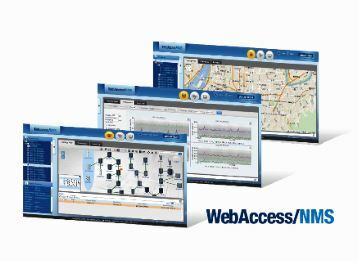 WebAccess/NMS, a web browser-based software package for networking management systems, is a user-friendly platform for remotely monitoring and managing all Ethernet-enabled Advantech products and third-pWebAccess/SCADA is also a browser-based software application for automating complex industrial processes for remote operations. The user interface is simple yet allows users to issue various types of sophisticated commands with only a few clicks. This not only reduces the time and cost of staff training but also makes monitoring the status of a plant more transparent.rty devices. As the scale of businesses and plants increases, technologies mature and evolve. Plant managers should look for solutions that simplify the process of upgrading. Concurrently, they should ensure that all current needs are met and be prepared for any changes the future may bring. 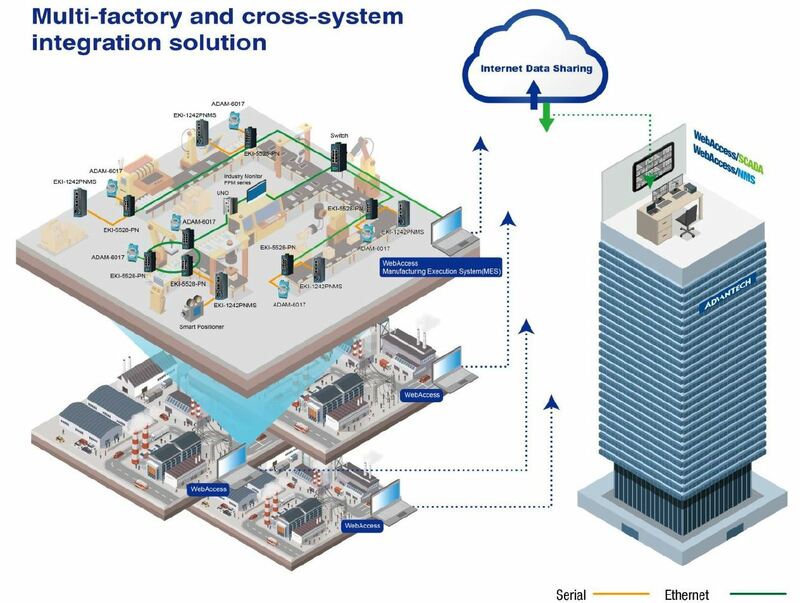 Advantech’s multi-protocol and cross-system integration solution is designed for plant managers seeking an affordable, straightforward upgrade for their plant expansion. Modbus TRU/TCP to 3 common used protocols Fieldbus Gateway. 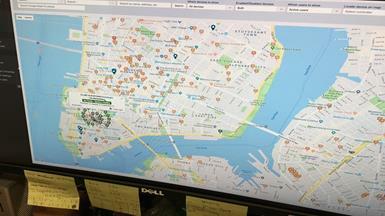 Support online Google Maps and offline OpenStreetMap. PoE, Ring, wireless, cellular connection indication. Advantech’s ADAM-6100 series is a new line of Industrial Ethernet Remote I/O modules. 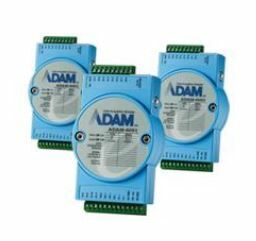 Designed with 2,500 VDC isolation protections, ADAM-6151EI, 16-ch isolated digital input EtherNet/IP module, is very resistant to field interference. It is also equipped with the EtherNet/IP protocol, and allows daisy chain connections, making it possible to transfer data much faster during process control and other industrial automation applications. Daisy chain connectivity provides a more scalable system with fewer wires to help avoid interference common in factory settings. More importantly, Advantech’s ADAM.NET Utility comes bundled with each ADAM-6100 module, allowing users to configure, set, and test ADAM-6100 modules through Ethernet. 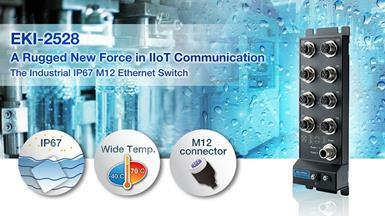 Advantech’s ADAM-6100 series is a new line of Industrial Ethernet Remote I/O modules. Designed with 2,500 VDC isolation protections, ADAM-6160EI, 6-ch relay output EtherNet/IP module, is very resistant to field interference. It is also equipped with the EtherNet/IP protocol, and allows daisy chain connections, making it possible to transfer data much faster during process control and other industrial automation applications. Daisy chain connectivity provides a more scalable system with fewer wires to help avoid interference common in factory settings. More importantly, Advantech’s ADAM.NET Utility comes bundled with each ADAM-6100 module, allowing users to configure, set, and test ADAM-6100 modules through Ethernet.